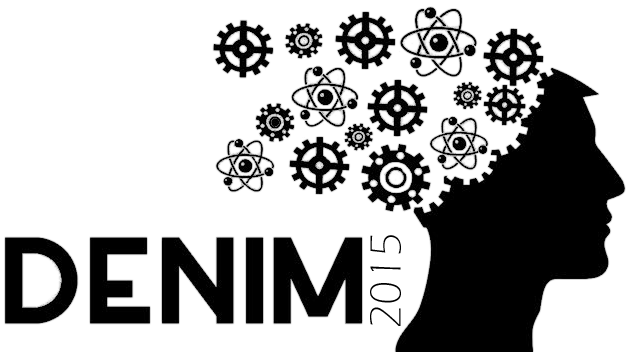 DENIM 2015 hosted by BNC in Budapest, Hungary. Call for Sponsorship and Exhibition! 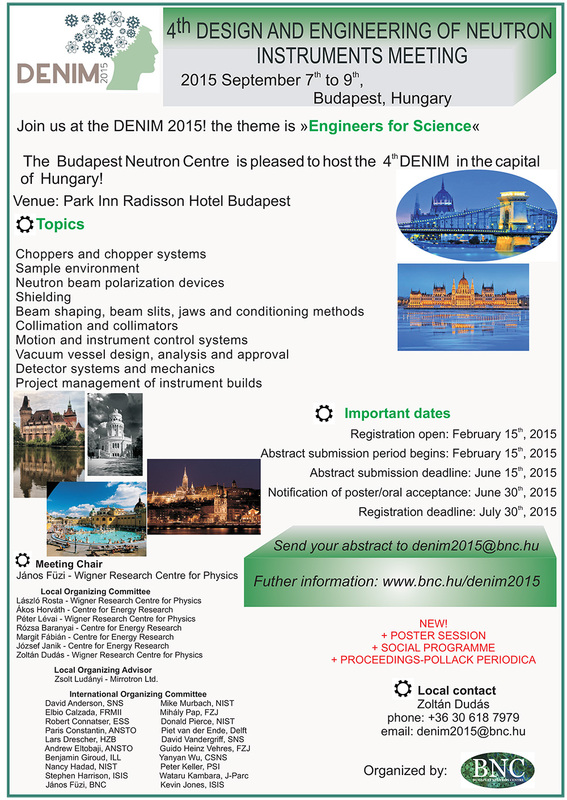 The organizers of the 4th Design and Engineering of Neutron Instruments Meeting (DENIM 2015), to be held in Budapest, between 7-9 September 2015 would like to offer the possibility to repeatedly draw the attention of the international scientific and engineering community to your line of products and services. The community of engineers involved in neutron instrumentation design and operation meets to share experiences of success and failure, determine the most promising directions of development and cultivate the common wisdom emerged from lessons learned during an essentially pioneering activity. They regard equipment providers to be their most important allies in this endeavor and are keen to learn about the new possibilities offered by the most recent developments in the field. In our quest to keep the tradition of the DENIM series, we would certainly be honored to receive your most valuable financial support to be used in the organization of this meeting. In return, your company and brand will be duly presented on the web page of the meeting, as well as in every related document issued. Along with the acknowledgement of your contribution, we offer an exhibition stand at the meeting site, equipped with display table, poster board and mains connection. Our distinguished sponsors are also invited to provide information and advertising leaflets to be included into the bags distributed to the attendants.